In the last few years, "home" has taken on a very different meaning to me. Having lived in five different places since leaving my hometown and going off to college, my "home" has always been rather temporary. Yet, at the same time, my parents' house didn't really feel like my home either, because I only stayed there for a few days at a time. I know I'm one of many people who have gone through this transitional stage. But let me tell you, it's a little strange. When I moved into my studio apartment and got a full-time job, things started to feel much more "homey." It finally started to sink in that I live in Minneapolis now. I have doctors here, a hair stylist, favorite restaurants, my go-to stores and my drive to and from work all mapped out perfectly. While it's only the beginning, I think this is what making a home in a new place starts to feel like. But here's the kicker - I knew I would only be in my studio for a short amount of time before Jack and I decided to take the plunge and move in together. Yet another "transition" year. I know, you're probably thinking exactly what I'm thinking..."sheesh, when is this girl going to figure it out and stay in one place?!" Well, while I don't know everything that will happen in my future, I do know one thing - we found our new home. 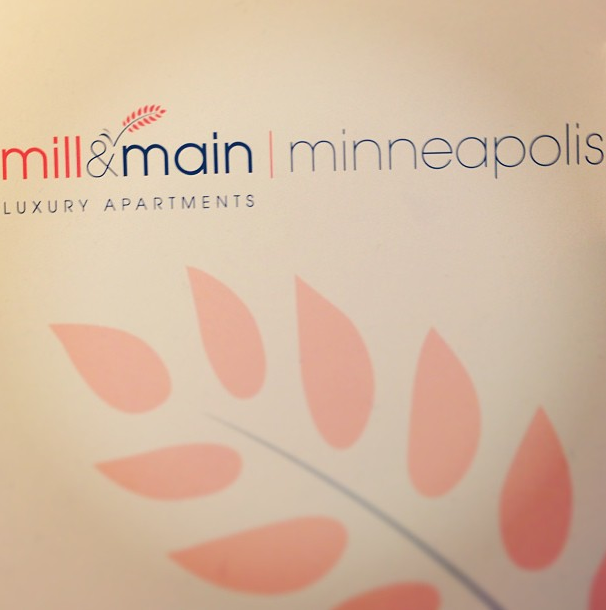 In July, Jack and I will be moving into Mill & Main Apartments in Minneapolis! After all of our talking about plans, apartments, timing, location, budgets and everything else, we finally found our dream apartment in our dream location. It's amazing how lucky and excited we feel. (And by lucky and excited, we also mean nervous/ecstatic/overwhelmed/giddy and every other emotion you could probably feel when finding the apartment that you'll both move in to together.) We're excited to finally have a home together, and in one of our favorite parts of the Twin Cities. July can't come soon enough! One of the best parts? Furniture shopping, moving, decorating and living together can only mean one thing - lots of blog posts to come!